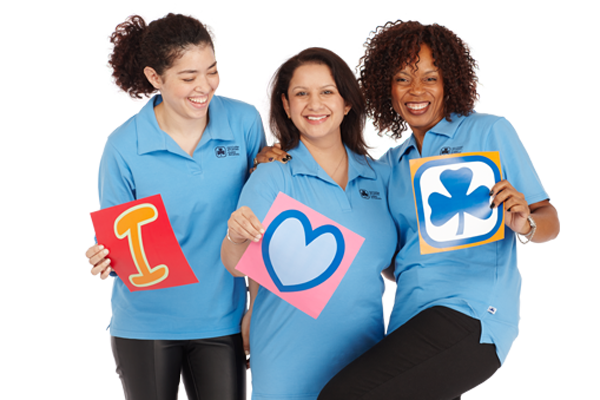 Girl Guides of Canada is an organization made up of many types of volunteers. At our core are the women who volunteer in Spark, Brownie, Guide, Pathfinder, Ranger, and Trex units as Guiders. No experience is necessary, and training is provided. If you like to work with children and youth, this is the opportunity for you! For more information on being a Unit Guider, and on other volunteer opportunities in Calgary Area, contact any-calgarymembership@girlguides.ca. For information on current opportunities at the Calgary Area level, see the following. The District Commissioner liaises between Calgary Area and supports her Guiders within her District, creates a strong and extensive support team to help accomplish her duties, and creates a positive Guiding atmosphere for leaders and girls. Did you know that District Commissioners do not have to simultaneously be Unit Guiders? Did you know that a District Commissioner can have up to 3 deputies? The District Commissioner is three year term and we have a few positions opening up throughout Calgary Area Districts. Applications will start March 1 and continue until all positions are filled. For more information about becoming a District Commissioner, contact any-calgarydac3@girlguides.ca. The Deputy District Commissioner supports the District Commissioner, her Guiders within her District and creates a positive Guiding atmosphere for leaders and girls. As part of the District Commissioner Team she will support and manage tasks as assigned by the District Commissioner. The Deputy District Commissioner is a three year term. Applications will start on April 15 and continue until all positions are filled. The Financial Information Support Team (FIST) is currently looking to recruit some new members. If you have a background in accounting/bookkeeping, this is the position for you! The FIST committee provides support to the district and unit treasurers in multiple ways, including overseeing the review of district and unit books semi-annually, reviewing budgets in the fall, reviewing trip binders, and answering email inquiries. In addition, the committee provides semi-annual District Commissioner and District Treasurer (DC/DT) workshops where we provide an overview of different bookkeeping topics. Any interested members can contact any-calgarytreasurer@girlguides.ca. Are you interested in sharing your Guiding knowledge and experience with other Guiders? Would you like to become a GGC Trainer? Contact Jan at any-calgarytraining@girlguides.ca for more information about the requirements.